Struggling with your HubSpot Integrations? Announcing HubSpot Connect..
HubSpot claims to be an ‘all-in-one solution’, which is true to some extent. However what is closer to the truth is that HubSpot is a ‘most-in-one’ solution. What this means is that if your customers only interact with you through your marketing and sales channels, then it would an all-in-one solution is accurate. However, the truth (and likeliness) is that your customers are using much more than just your website to interact with you. For example, do you have visitors using a support desk, paying you bills, managing their finances or creating events? There are hundreds of different ways in which visitors and customers can use your website, which may require additional integrations with EventBrite, Survey Monkey, Shopify or Wistia. To help manage these plug-ins, HubSpot has announced HubSpot Connect, bringing all the data from all different services of your website into HubSpot. There is a brand new list of integrations, including the many existing, as well as some brand new exciting ones – full details can be seen here http://www.hubspot.com/products/integrations.What actually happens in HubSpot with this new information? HubSpot pulls data from the integrated partner into your HubSpot portal. For example, a visitor who completes an Eventbrite ticket for one of your events automatically has a contact profile created within HubSpot for this new event attendee. 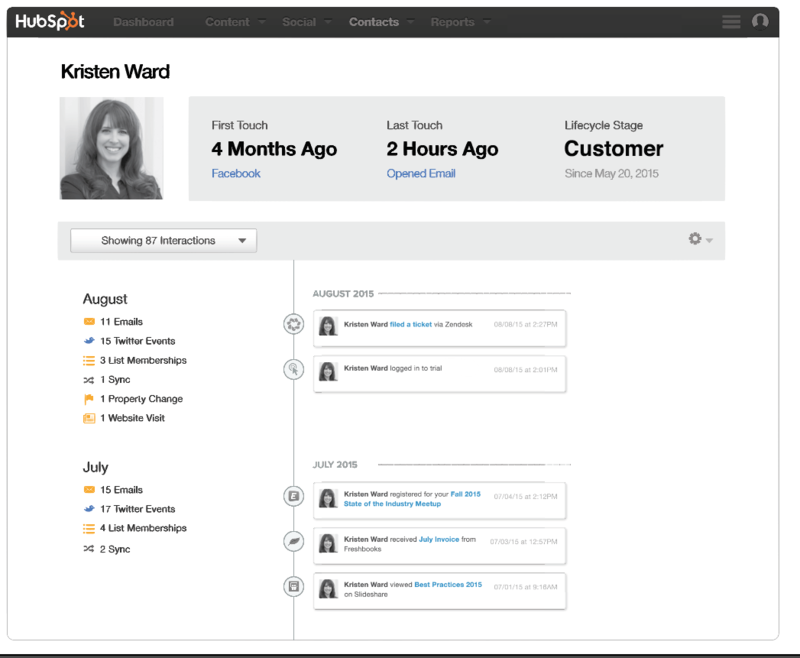 Within HubSpot, while looking at a contact timeline of a specific person, you will be able to see the data points collected from an integrated partner within the timeline of a specific contact. For example if a contact has completed a Survey Monkey, or purchased a product from you, it will show you within the contact timeline. Using all this information collected, you can build lists and create workflows based on any data that is associated with your contacts. HubSpot continues to keep all users on their toes with new updates and integrations being released on a regular basis. Which is great – but if you’re not a prolific user then sometimes it can be a struggle to get the most value from your HubSpot portal simply because of the wealth of features available. If you’re finding it difficult to achieve the goals you want from your HubSpot portal then get in touch with one of our HubSpot experts or click below for more information on our monthly HubSpot Training Courses.